This episode was recorded live at the End of the Road Festival at Larmer Tree Gardens in Cranbourne Chase, Dorset. Andy and John are joined by Tom Cox, author of bestselling books on cats, golf, folklore and landscape, including most recently 21st Century Yokel and the forthcoming Help the Witch. 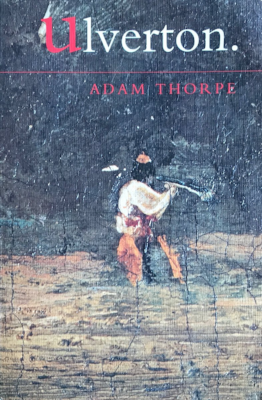 The book he’s chosen is Adam Thorpe’s complex and influential historical novel, Ulverton, first published in 1992 by Secker & Warburg . In addition, Andy hails the re-issue of the Ian Hunter’s classic Diary of a Rock’n’Roll Star by Omnibus Press and John falls for the charms of Sally Rooney’s Normal People.